The reports cite an electric car production in Europe under discussion with Emilio Herrera, COO of Kia Europe. The manufacturing of electric cars in Europe would minimize the risk of supply disruptions, he was quoted as saying. He continues: “We know our suppliers LG Chemical and SK Innovation are looking to possible battery production in Hungary, the Czech Republic and Slovakia”. This has apparently encouraged the Korean company to look in this direction as well. 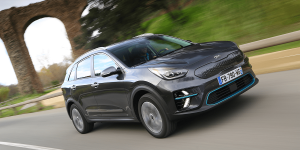 Kia’s only European plant to date is located in Zilina, Slovakia, and is limited to the production of the petrol and diesel models Ceed, Sportage and Venga. The electric offensive by the company is being slowed down a bit by their production capacities. Herrera explains that Kia could sell more Soul EVs if there were no supply bottlenecks from the production plant in Korea. “Today our problem is not whether we can sell these cars, but how many will I get (from Korea),” he is quoted as saying. On Monday Kia started the advance sale of the new generation of the Soul EV in Germany, which is now only available with a fully electric drive. The bottleneck on the Kia e-Niro production is particularly evident. As was reported in February, customers must expect delivery times of more than one year. This was revealed two months ago in a letter to dealerships in which it was stated that “Europe-wide demand clearly exceeds expectations and current battery production capacity”.